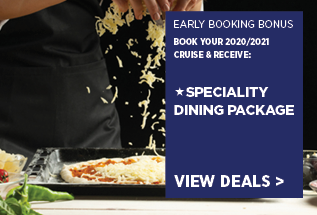 Two of Holland America Line’s most exciting features are America’s Test Kitchen, which is an exclusive culinary programme of live cooking shows and workshops, and their partnership with BBC Earth Experiences. Guests can enjoy a host of onboard enrichment, from photography lessons to music concerts and films. Another guest favourite is the B.B. King Blues Club, where the soulful sounds of Memphis are performed by an 8-piece band. And, rock and roll fans will love the new Rolling Stone Rock Room aboard Nieuw Statendam. For dining, take your pick from the Pinnacle Grill where the cuisine takes inspiration from America’s northwest, Rudi’s Sel de Mar for classic French dishes, or Tamarind for Pan-Asian. Holland America Line’s fleet of 14 medium-sized ships are spacious, stylish and adorned with art. The 500+ itineraries on offer take in around 100 countries and 425 ports. Head to Alaska to see the glaciers and former Gold Rush towns, soak up the atmosphere of lively Cuba, or go on a longer World Voyage. 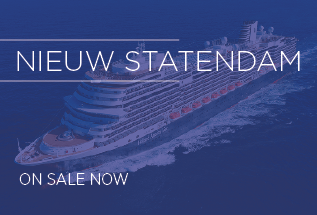 Holland America Line’s newest ship, Nieuw Statendam, launched in December 2018 and has Oprah Winfrey as Godmother. The ship features artwork from over 150 artists, plus plenty of entertainment and dining options. Carefully Crafted Journeys Balance. Depth. Authenticity. These are the elements Holland America bring to more than 500 itineraries, stopping in 100 countries, the world over. Their Explorations Central (EXC™) program adds meaning and context, making your journey an even richer experience. Spacious, Mid-Sized Ships Holland America Line holds true to the timeless elegance of ocean travel. 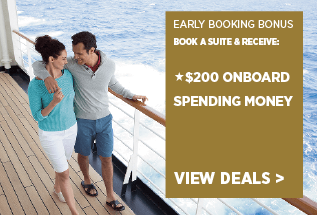 From the moment you step aboard one of our spacious, mid-sized ships, you’ll feel the difference. Classic nautical lines. Beautiful appointments. Warm, hospitable service. Immersive Culinary Journeys Under the guidance of our Culinary Council® of chefs, fine dining at the Pinnacle Grill, Tamarind, Canaletto, Rudi’s Sel de Mer and in their Dining Room is truly memorable. Hone your culinary skills at America’s Test Kitchen’s shows and workshops. 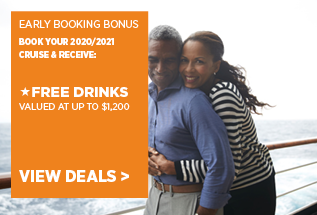 Exclusive Onboard ActivitiesThrough exciting new partnerships with America’s Test Kitchen; O, The Oprah Magazine; BBC Earth Experiences; Digital Workshop powered by Windows; Explorations Central (EXC™) programs and live entertainment, you can continue exploring on board.